Cerec 3D procedure consists in taking a digital optical impression Sirona Inlab directly in the patient’s mouth, designing the restoration on the computer with a special software and fabricating the restoration chair side with a special milling called Inlab MCXL. Worldwide, more than 38,000 dentists operate with CEREC Cad Cam method and thus produce around 7 million cad cam crown restorations every year. Feldspar and glass ceramics in particular are ideal for restorations such as crowns, inlays, onlays and veneers. The comparably low flexural strength (zirconia 800-1300mpa) of 80 to 450 mpa makes adhesive fixation of the restorations necessary. Lithium disilicate brandnamed “emax” is a glass ceramic with the same characteristics as oxide ceramics. Cerec Crowns are exceptionally durable and translucent. Vita Suprinity, a glass ceramic reinforced with Zirconia is making its way into the market, with an even higher flexural strength than Emax cad materials. Since the beginning of 2015 we successfully use this material in our dental clinic. CEREC or Chairside Economical Restoration of Esthetic Ceramics is currently a very popular method in dentistry for the creation of high-quality restorations. It is tightly connected to the CAD/CAM technique. This whole process is aided by a computer, which means that everything is extremely precise. It saves a lot of time for the dentist and for the dental technician. The patient gets a final restoration in only hours. This means that there is no need for multiple visits. Everything gets done in only one minute. The first ever used CEREC to create a restoration happened back in 1985. 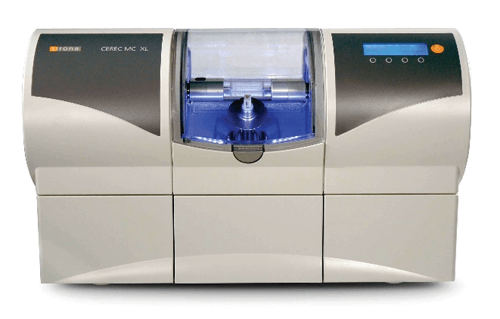 Two years later they released CEREC for an official use in dental laboratories and clinics. The system was created by Marco Brandestini and Werner H. Mörmann. Every year, the system gets a certain upgrade. Until 2003 it only used 2D images to plan the restorations. Since then, CEREC introduced 3D digital images that provide a very precise look of the mouth, teeth, and the surrounding tissues. The uses are very widespread and include all types of restorations such as crowns, bridges, veneers, frameworks, dental implants, dentures, onlays, inlays, telescopes, bars, surgical guides, attachments, orthodontic appliances and more. All of these restorations are very high-quality and with an advanced esthetic. The treatment always starts with the dentist. First, he has to consult with the patient and decide on what kind of treatment and restoration they will be working on. The following step includes getting proper images with the new intraoral camera that doesn’t even require powder. Those precise images are sent to the software that shows them on the computer. This means that the dentist and dental technician get a complete view of the mouth. The next part includes planning the restoration. It has to perfectly match the surrounding teeth. 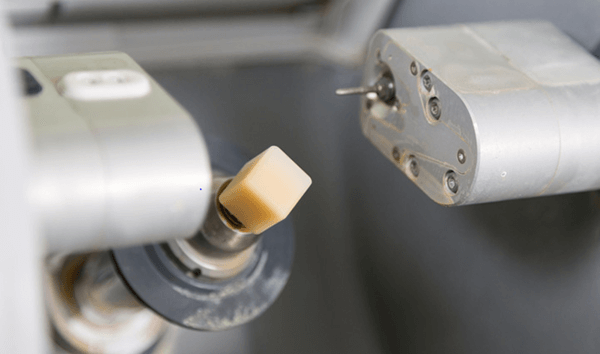 Once it’s completely planned, the CEREC technology is connected to a milling unit, that uses different types of materials. The material is placed in the milling unit, and 15-20 minutes later the restoration is done. Very precise restorations, high-quality and great aesthetics. This method is very time-saving. Patients are very happy to leave the office with brand new teeth after only one visit. According to research, these restorations are more durable compared to the conventional ones.